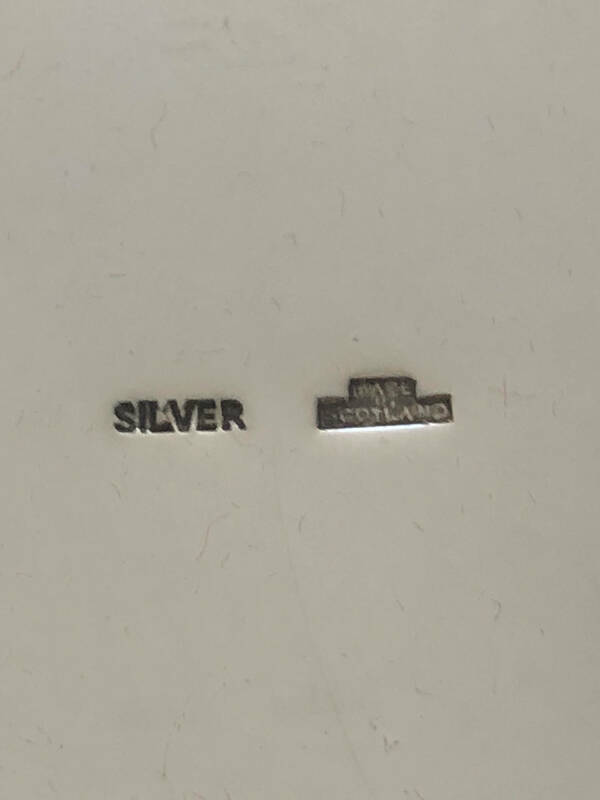 The strap features a central sterling silver medallion that is about 8" x 10" and contains the following hand engraved text: "1934 ~ 1971 1,000,000th case shipped from Kilmarnock ~ Washington, D.C." The medallion is also stamped "MADE SCOTLAND" and "SILVER". 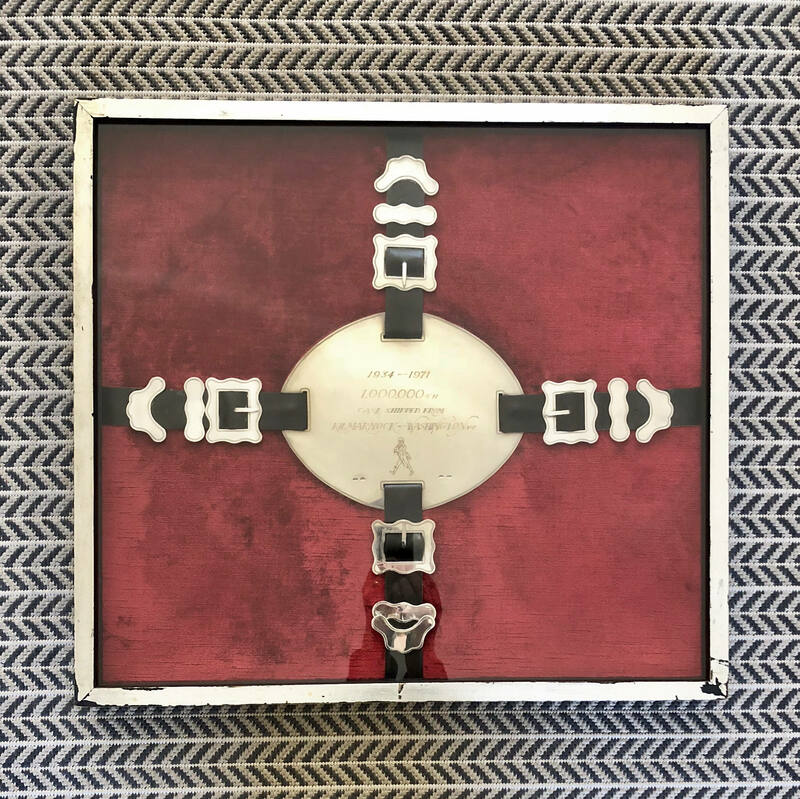 Flanking the central medallion are 4 buckles and other adornment-- all in sterling silver. 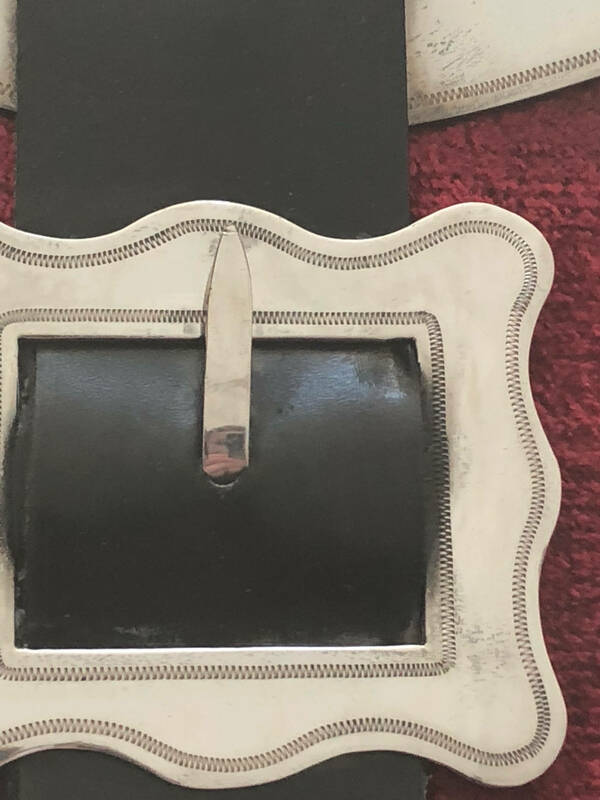 The entire strap is laid upon a crushed red velvet background that likely was the original lid of the case. 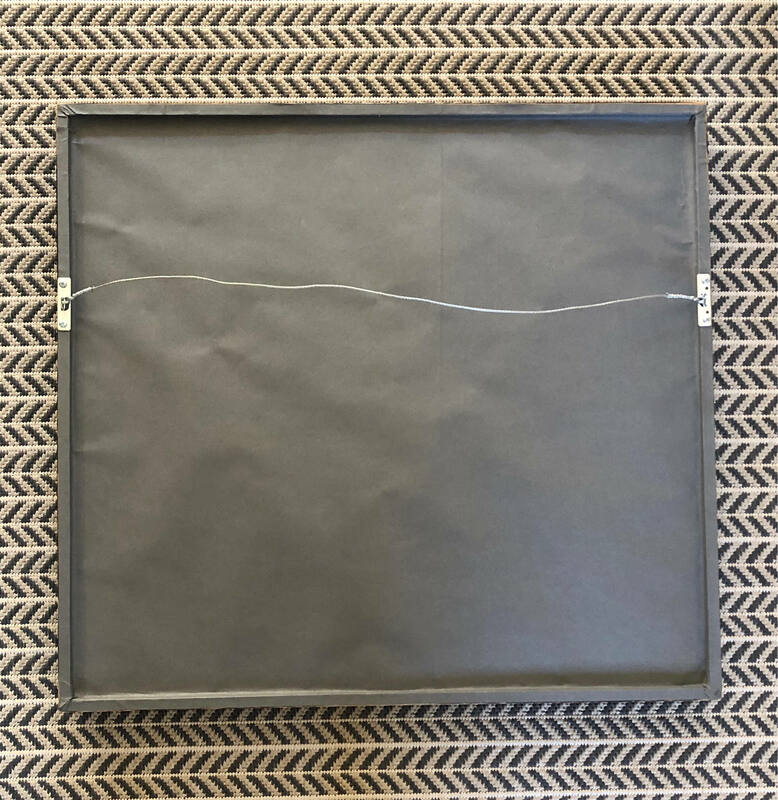 Outer dimensions of the frame are 23" x 25". In 1934, just after prohibition ceased in America, large international liquor producers in Europe and Canada raced to slake the seemingly insatiable thirst of the United States whose manufacturers had been shuttered. Johnny Walker, the Sottish whisky maker from Kilmarnock, East Ayrshire, Scotland began importing immediately to Washington, DC to fill the vacuum to a rousing success. 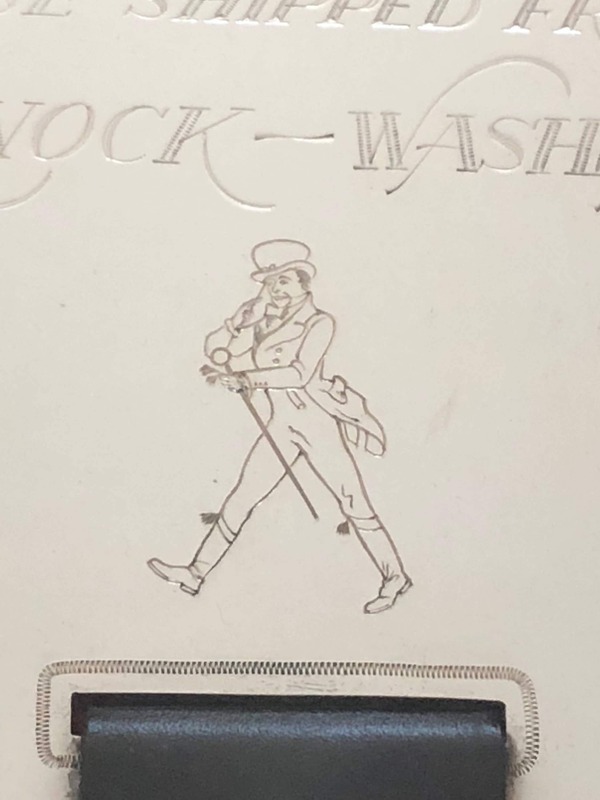 Johnny Walker had been blending whisky in Kilmarnock since 1865 and had the brand recognition and clout to take full advantage. When Washington went wet again in '34, it was to huge celebrations. Police cars rushed around the city handing out liquor licenses, starting with the Press Club. Eyewitness accounts of the evening said the party raged until dawn. 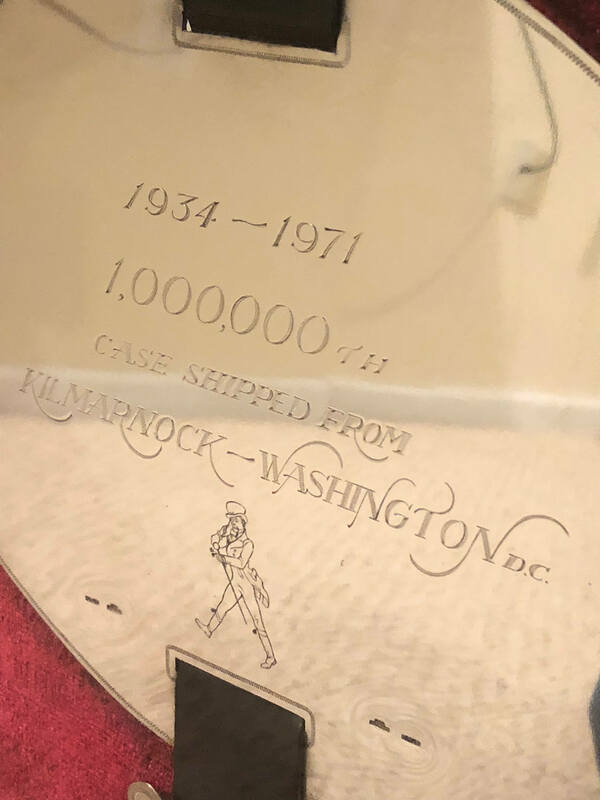 It wasn't until 37 years later in 1971 that the millionth case of Johnny Walker was imported into Washington, DC. 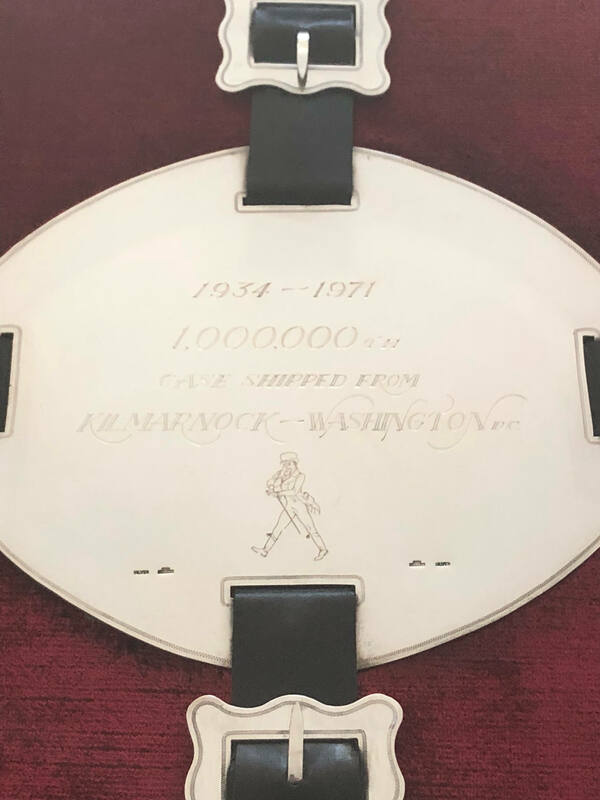 To mark that major milestone in their history, Johnny Walker bolted onto the millionth case a broad leather strep heavily adorned with heavy gauge Scottish silver ornament. 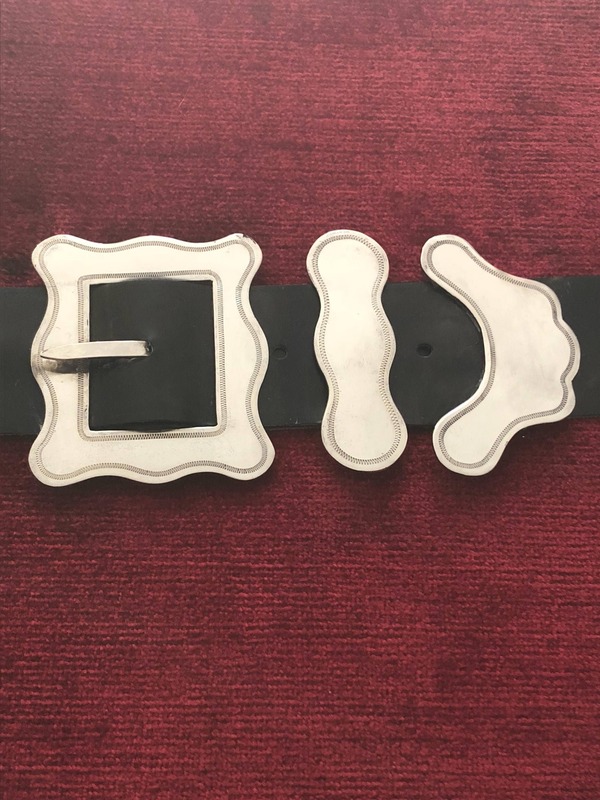 That's what you see here, the very strap that adorned that millionth case from an iconic brand.